The second an nual “HLHS Feel the Beat” will be held Saturday, November 8 at Mayo Clinic in Rochester, MInn. “HLHS Feel the Beat” is a fun-filled family event built around science, advocacy, families and patients. The Todd and Karen Wanek Family Program for HLHS will share the research being conducted that is changing the future for those affected by HLHS. More information on the event is available on the HLHS Cause to Cure blog. 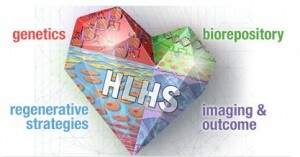 To learn more about HLHS research, visit the Center for Regenerative Medicine website.